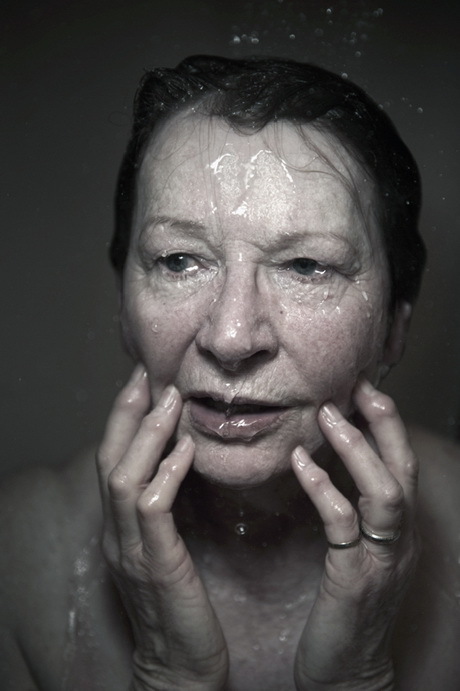 My image in the 2013 Head On Portrait Prize is from my series alpha waves, beta waves. The shower or warm bath is often a place where we achieve clarity of thought - We recall things we need to do, our successes and our failures. Our brains drift in and out of the relaxed state of the alpha waves and the functional state of the beta waves. In this series the flowers act as a pause between the intensity of each expression and also as a reminder of the brevity of youth and life itself.